We are pleased to announce that Dr. Sarah Beth Estes has accepted the position of Interim Dean for the College of Arts, Letters, and Sciences. Her appointment begins July 1, 2018. Dr. Estes received a Ph.D. in Sociology from the University of Iowa and is a Professor of Sociology in the Department of Sociology and Anthropology where she has taught courses on gender, social statistics and research methods, as well as interdisciplinary courses in the Donaghey Scholars Program. In 2014, her teaching was honored with a faculty of the year student choice award by the Student Government Association. Much of Estes’s research has focused on how work-family policies are related to aspects of family life, including parenting behavior, children’s well-being, and the gendered division of household labor. She is respected for her expertise on gender and family issues and her scholarship has been heavily cited. Dr. Estes has long been a practitioner of community engaged research. 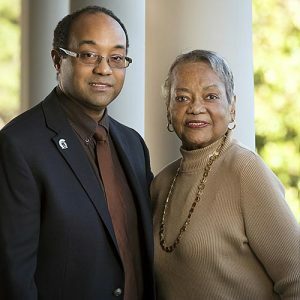 ​She has co-authored several studies centered on​ ​the status​ of women​ in ​the state ​in collaboration with the Women’s Foundation of Arkansas, where she serves on the board as First Vice President. She was also the founding chair of the Green Dot Violence Prevention Program and has coordinated the Stonewall Scholarship committee​, which​ awards an annual scholarship to students whose scholarship incorporates lesbian, gay, bisexual or transgender issues. Dr. Estes has held several administrative positions at UA Little Rock. She is currently and will continue to serve as the Associate Provost of Community, Careers, and Extended Education. Previously, she has served as Associate Dean for Research, Interdisciplinarity, and Community Engagement in the College of Social Sciences and Communication and as Associate Dean in the College of Arts, Humanities, and Social Sciences. Additionally, she served as Associate Chair of the Department of Sociology and as longtime coordinator of the Gender Studies program, an interdisciplinary program including faculty affiliates across several colleges and departments (including those in CALS). Dr. Estes succeeds Professor Tom Clifton who has elected to return to the Department of Art and Design as chairperson. I thank Tom for his two years of service as Interim Dean for the College of Arts, Letters, and Sciences, and Dr. Estes for accepting the interim appointment. ​Her experience in working across disciplines as well as her leadership experience in multiple roles lend itself well to the interdisciplinary nature of the college. Please join us in congratulating Dr. Estes.